Mountain Blue Bells and Arnica line Tyndall Creek in Rocky Mountain National Park just west of Dream Lake. 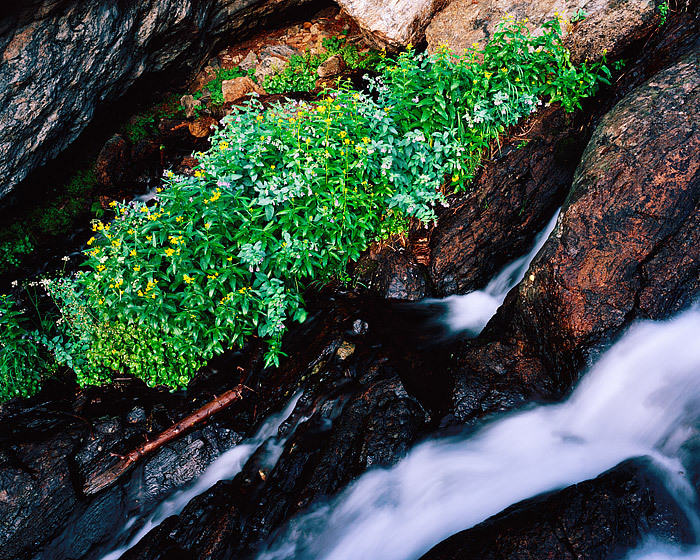 Tyndall Creek, located near the base of Hallet Peak and Emerald Lake is a popular destination for hikers and visitors to Rocky Mountain National Park. Photo © copyright by Thomas Mangan.